One of the most difficult parts of leading a healthy lifestyle is retraining your body to be satisfied with appropriate caloric intake. Because your body is used to taking in a certain amount of calories, energy, and fat daily, your body sends signals in the form of hunger pangs to alert you when it isn’t getting the same amount. While these pangs can be ignored, it can make dieting and healthy living more difficult, especially in the first few weeks of a lifestyle change. To help aid the body in this transition, many people opt for a natural appetite suppressant. Appetite suppressants help retrain the brain, during this transitional period, to believe that it has already met its caloric intake needs. With natural ingredients, our suppressants send signals to the brain that the stomach is full, so that a healthy weight can be established over time. 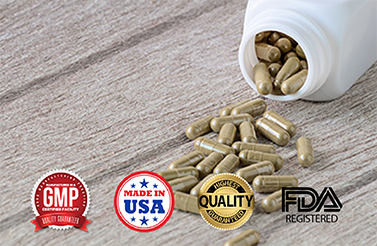 BioThrive Sciences only provides appetite suppressants regulated by the U.S. Food and Drug Administration (FDA) and manufactured with the highest standards and labeling. We also make working with us simple, with convenient and quick shipping. No matter what health product you order through us, you can be assured that it has been tested for quality, consistency, and compliance. With over 20 years of experience in the health industry, we guarantee fast turnaround and compliant manufacturing standards. For more information about our BioThrive Sciences’ services and products, send us a message or call us at 1-844-263-3657. Ask us about free label design on your first order!